Featuring a sealed HEPA system with included HEPA filter to capture 99.97% of particles for cleaner emissions.FORCE™ is LEED Qualified for daytime cleaning with a sound level of 69 dBA. We commit and deliver an exceptional cleaning experience backed by certification from the Carpet and Rug Institute (CRI). SC5713 is certified bronze. 24/7Our premium line of QuietClean® machines provide 24/7 any time of the day cleaning at 70 dBA or less which is equivalent to the noise level of a human conversation. SC5713 is measured at 69 dBA. Sealed HEPA system captures particles for improved air quality. Clean quietly and efficiently during the day with our 70 dBA or less machines to help businesses keep energy costs down and maintain their LEED certifications. SC5713 is measured at 69 dBA. Complete any job with tools to clean carpet, furniture and above-floor areas. 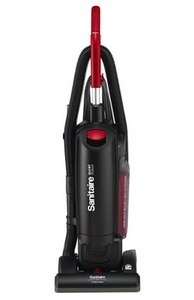 Includes a 10-foot stretch hose, two-piece wand, crevice tool and dusting brush. 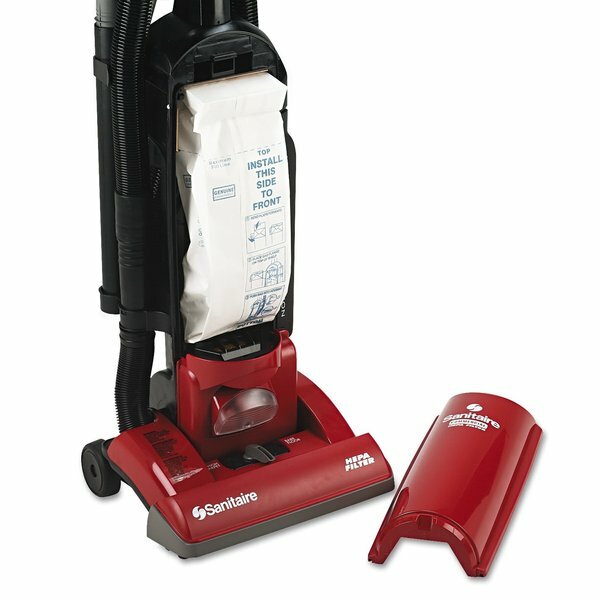 Includes on-board tools and stretch hose for above-the-floor cleaning.